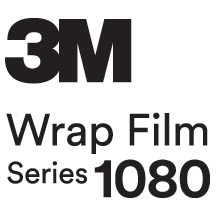 You may think we're trying to trick you but you really do need to buy more wrap film than you think. Check out the top 3 reasons why in today's post. Technology has come a long way and now you can add the look and feel of custom graphics and wraps to your tires, rims and brakes. Check out our handy guide to get restyling ideas for your wheels that won't break the bank and will make your ride the envy of the parking lot. 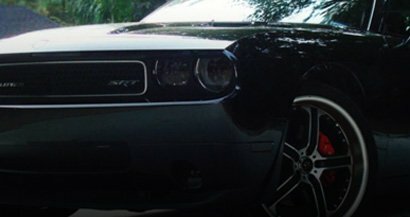 Want to protect, restyle or add visibility to your car, truck or SUV's rims? Well, if you follow these six, easy-to-understand steps, you can wrap your rims yourself in no time. Add a flashy, custom loo to your ride's wheels with precut reflective rim decals. In just four, easy steps you'll be enjoying the cool look of these wheel decals while increasing your nighttime safety and visibility. Learn how to clean your brake calipers without removing them from your car completely and going through the hassle and mess of bleeding your brake lines! Follow this 5 Step How-To and learn how to quickly clean and prepare your calipers for wrapping. Wrap your violin, viola or any other instrument case for less than $35 and get the look of a real, hard carbon fiber case for literally pennies on the dollar. Did you know that over 50% of US households have one member who plays a musical instrument and up to 5% of people in the whole country play guitar? Crazy, we know but what this also means is you can now customize your guitar, drum set or violin with a premium quality wrap in a variety of exotic finishes, crazy colors and unique styles. We used one of our ORACAL&REG; 631 Matte Removable Furniture Wraps to create a a two-tone Gentian Blue and White look on one of our old IKEA Gilbert chairs we use in our break room. It was quick, cheap and easy — just the way we like our furniture wraps. We hope you like it as much as we do too! How Much Vinyl Do You Need to Wrap a Fridge? Have you ever wanted to change the look of your fridge to Brushed Steel but didn't want to spend hundreds of dollars? Want to add the look of camo or wood grain to your hunting cabin or man cave's mini fridge? Find out how much vinyl you'll need for the job. Want to learn how to make a backlit window decal for a stained-glass effect? Check out today's post and learn how to use Translucent Vinyl films to make an attractive window sticker by hand using only supplies and materials you have at home. If you've always wanted to make your own custom decals but didn't think you could without a special machine, now's your chance. Check out this quick how-to guide on making your own hand-cut decals in under 15 minutes flat! Installed your own window tint and you have some bubbles? Don't despair and definitely don't rip it off your windows! Follow these 5 simple steps and fix your bubbling window tint in no time!